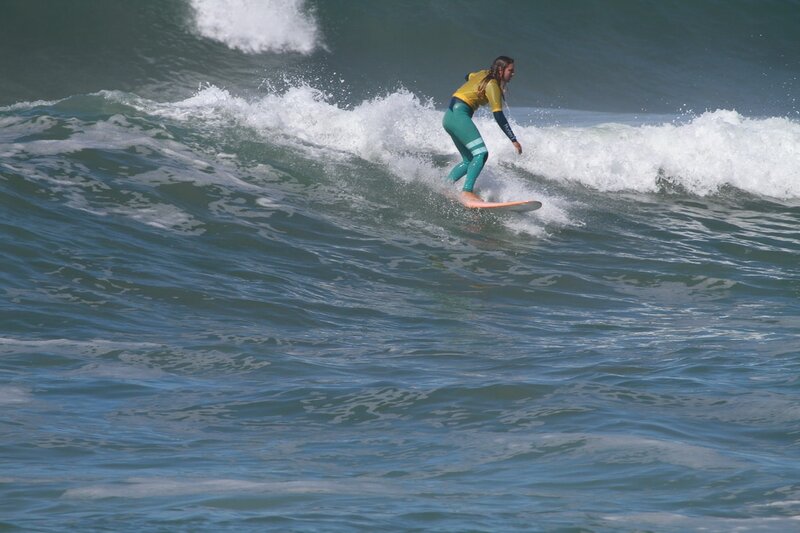 There's nothing like the stoke of surfing! 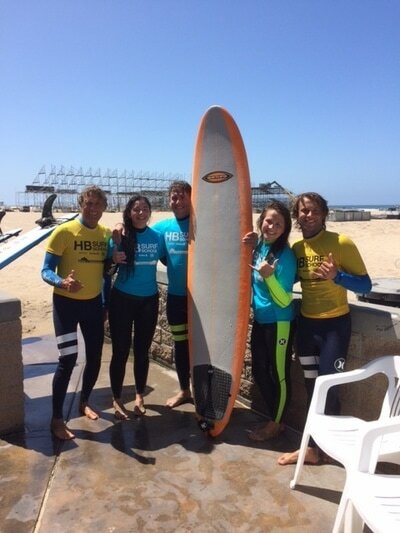 Let's get you on the water today! 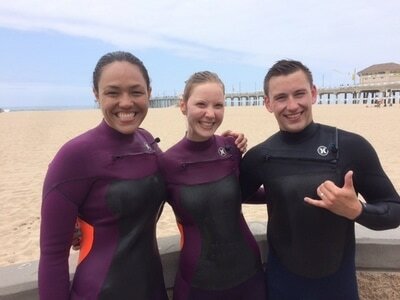 ​It's always a good day when you're surfing in HUNTINGTON BEACH, CALIFORNIA! 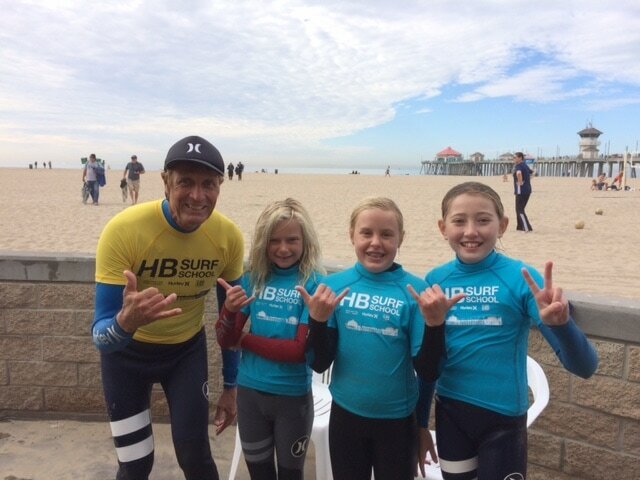 HB Surf School founder Bill Sharp has taught thousands of kids -- of all ages -- to surf and compete. 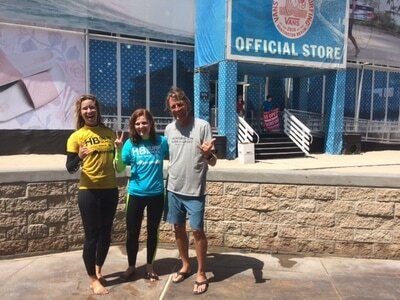 ​There's nothing like the stoke of surfing, and few people know that better than former pro and long time coach Bill Sharp. 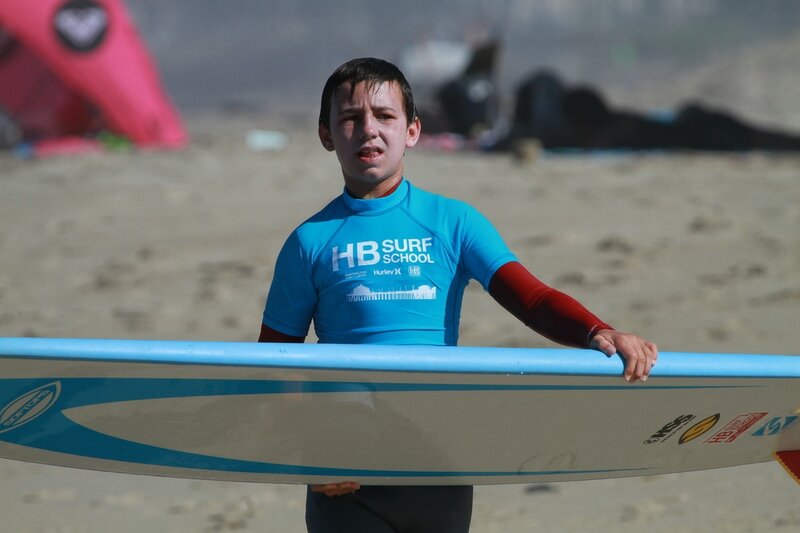 He founded the HB Surf School in 2007 and has taught thousands of kids to surf and compete. Bill Sharp has taught hundreds of new surfers and has refined the “push-in” technique designed to get you up and riding quickly. 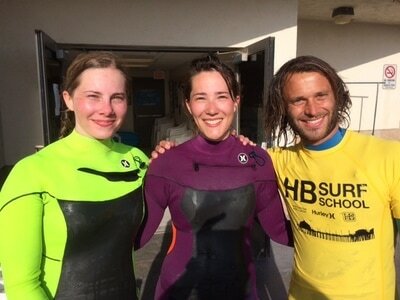 After one lesson, new surfers should be able to practice on their own. 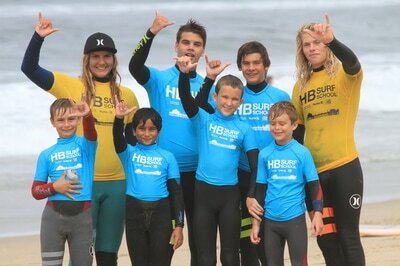 Bill has also coached numerous competitive surfers, including surfers on the world tour. The HB Surf School operates from the community services building, just south of the pier and behind Duke’s and Sandy's. We do birthday parties and special events!